The Diana Winery was established in 1928 by Angelo, the present owner’s grandfather, who worked the land around Castana and who even then was already producing excellent red wines. In fact, in 1951, these wines were awarded diplomas of merit and their high quality received official recognition. His son Mario took over the winery in 1970, and that same year the Italian Ministry granted five wine producers from Castana the right to label their wines as meeting the required standards of the Italian appellation control (Denominazione di Origine Controllata, DOC) for their Buttafuoco, a wine which today is the winery’s showpiece. 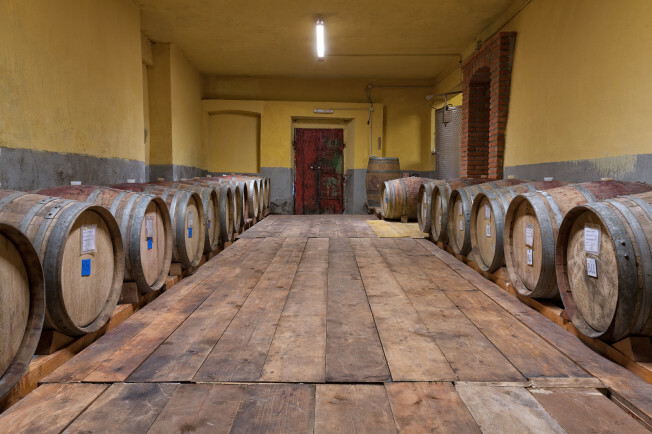 From 2007 to 2012, the Diana Winery was radically reorganized and modernized by Giovanni, himself the third generation of this family of vine growers and wine makers. This has allowed the winery to develop the tools and resources it needs to respond to the growing demands of today’s consumers who choose their wines with increasing care and acumen. With respect to the original ground plan, today the winery is laid out on four connecting levels. Starting from the bottom and working our way up, we can follow the whole wine-making process from grape to bottle backwards. We start with where the wine is aged in wooden barrels, then we go back up to where the wine is left to ferment in steel vats, and on to where the freshly picked grapes are received, until we get to where the farm equipment is kept, and then on directly out into the vineyard itself. The wine cellar is part of the original farmhouse dating back to the 1600s, and its stone and brick walls maintain the charm of the medieval village of Castana. The recently restored water tower is the winery’s symbol. It houses the farm workers’ museum with its collection of old equipment and tools that were part of daily country life, important artefacts of the agricultural life of the last century, together with the antique family treasures that together give us an insight into the more recent history of Italy. 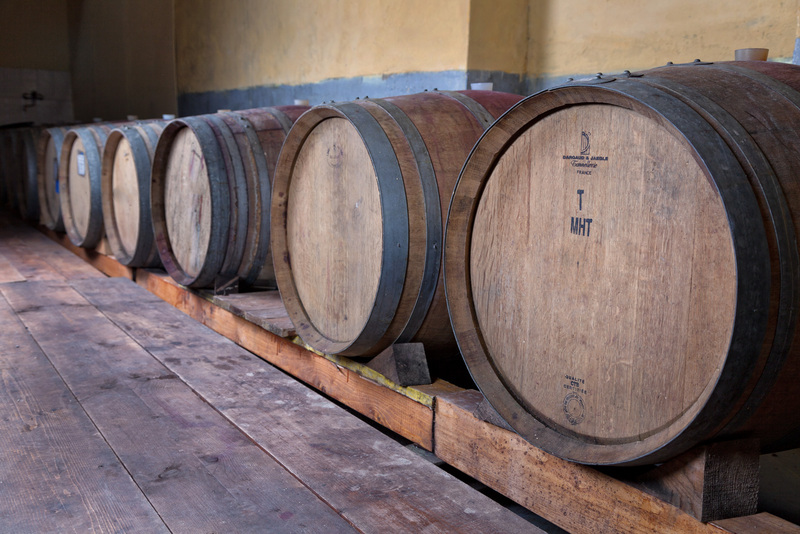 A visit to the museum is a must for any visitor to the winery.